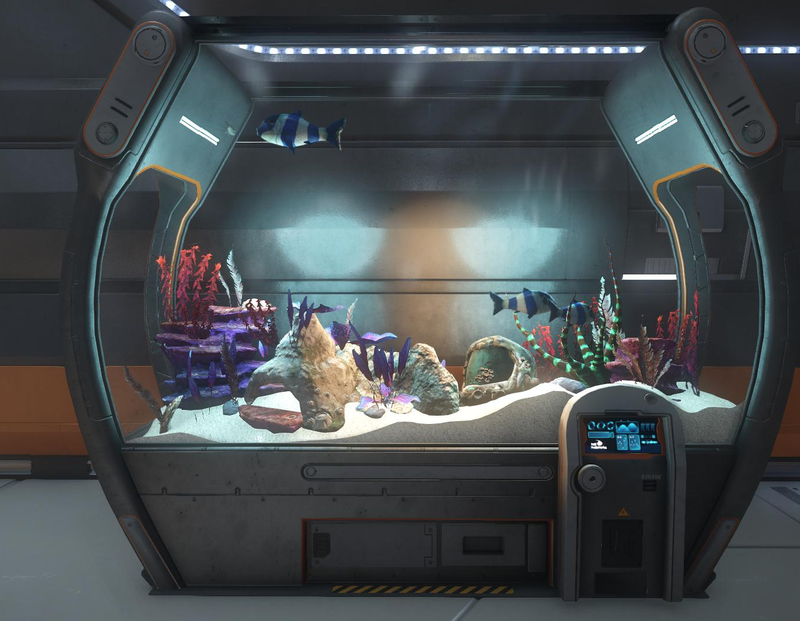 This beautifully decorated tank comes from the Ten Thousand Seas Corporation and is available in the Voyager Direct and comes with a Menarik Fish when purchased. 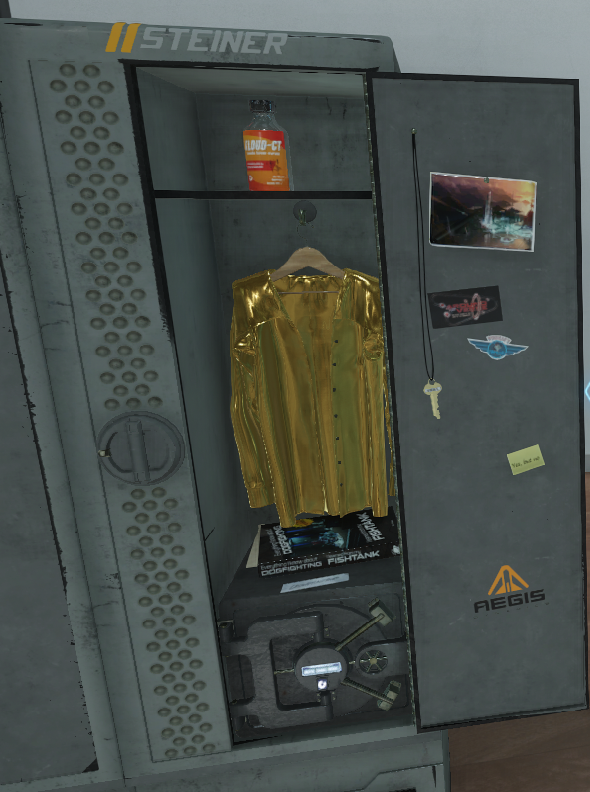 It was also given with a Midas Fish to all backers when 20 million was hit. 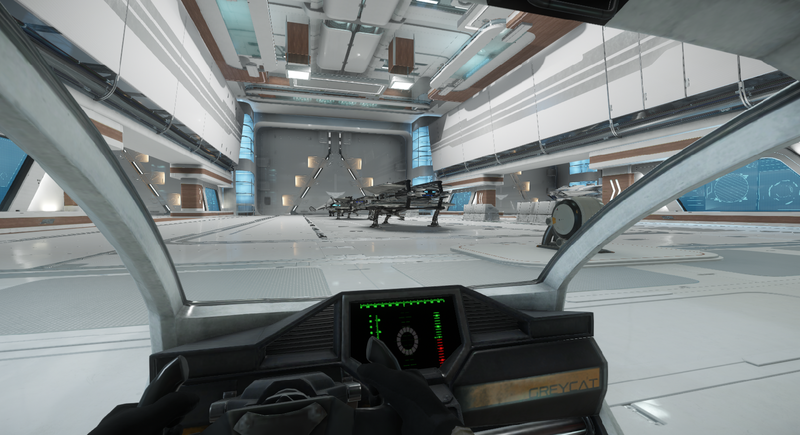 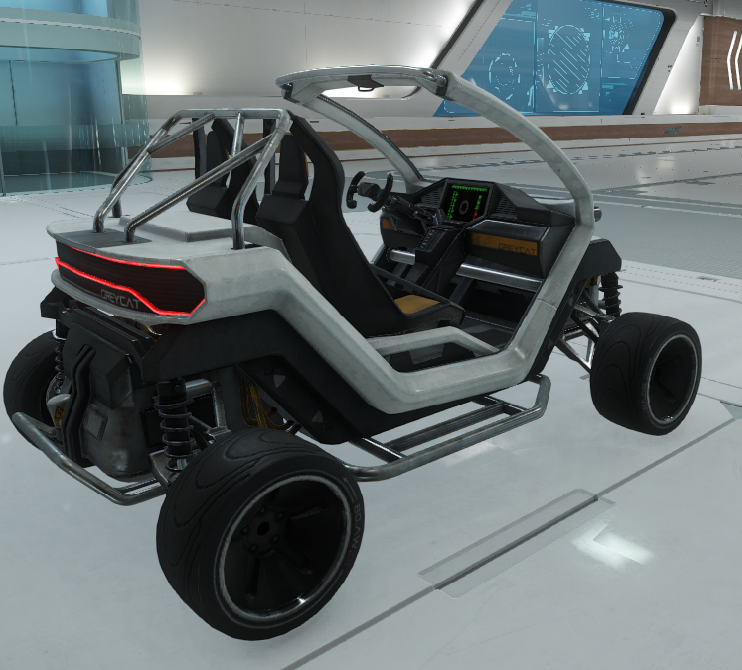 This adorable little buggy will help you easily get around your hangar. 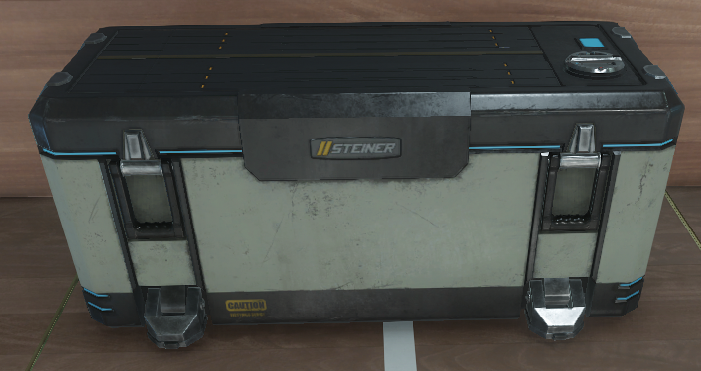 There are even various skins for it! 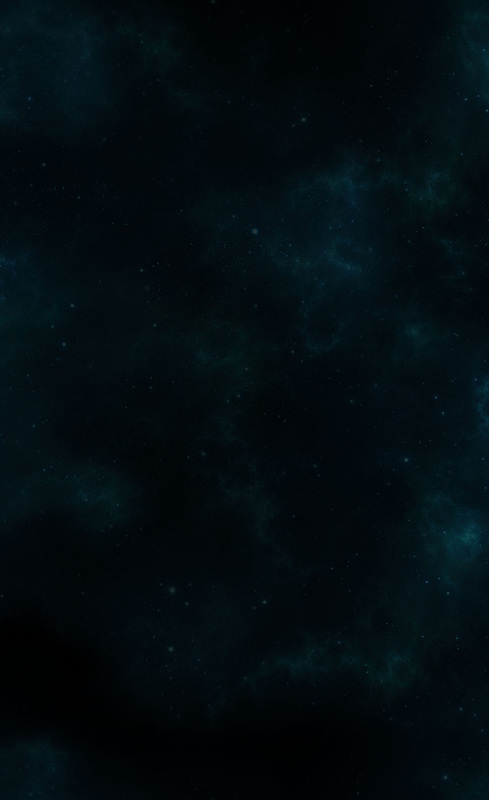 It is available in the Voyager Direct. 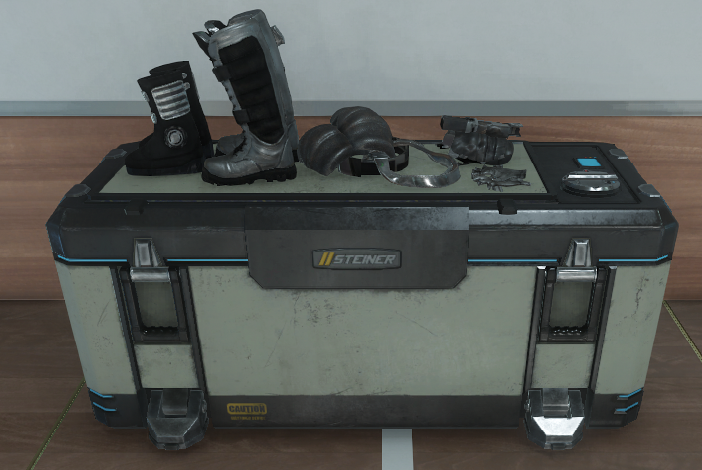 This work bench is the standard across UEE space. 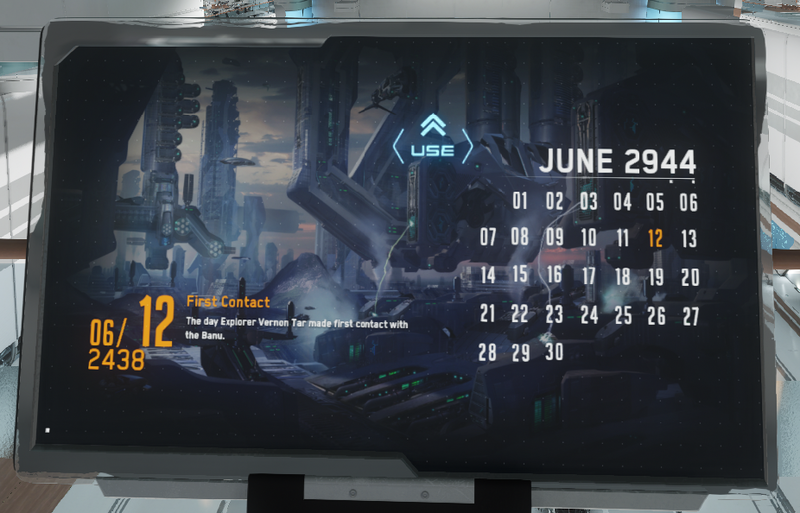 It is available in the Voyager Direct. 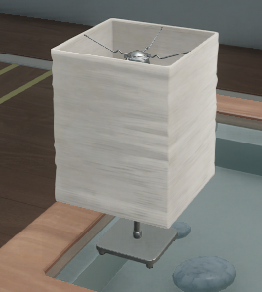 A replica of the Lamp from the original 24 hour livestream for your very own hangar! 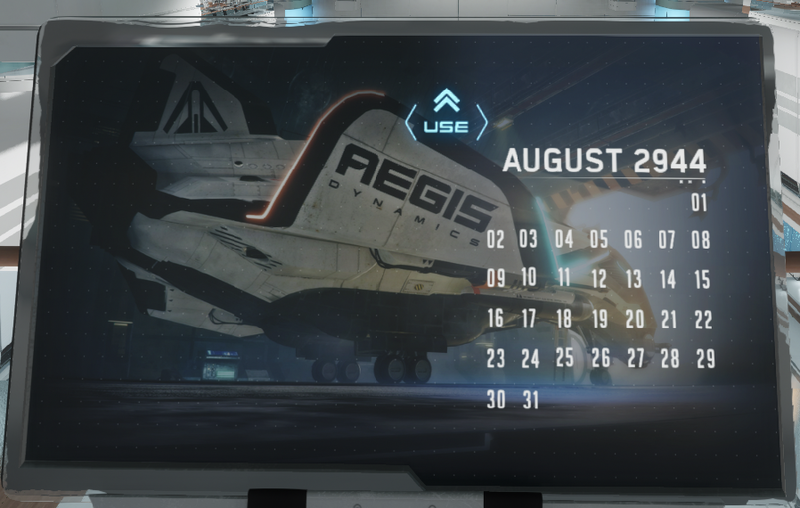 It is available in the Voyager Direct. 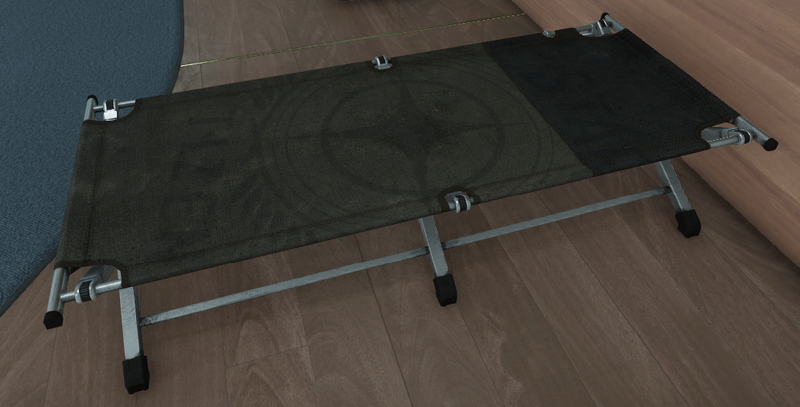 A nice bed for when you need a quick rest. 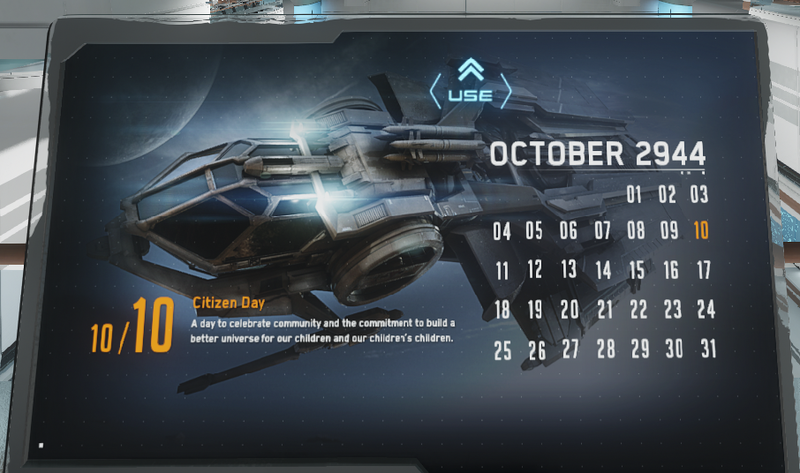 It is available in the Voyager Direct. 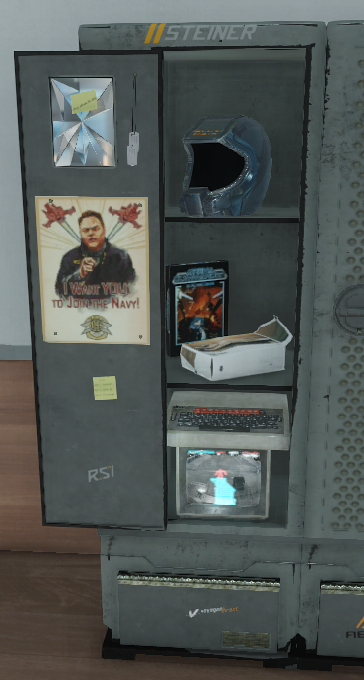 A footlocker that was placed into everyone’s Hangars in December 2013. 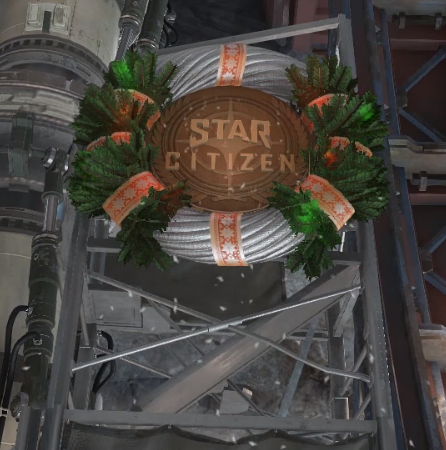 This Holiday Wreath was first given out in December 2013 if you logged in to check your ingame hangar. 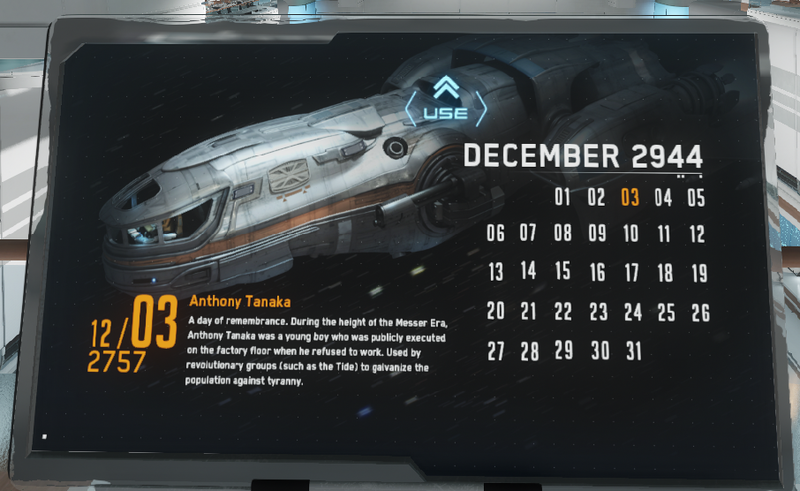 It turned into the 2014 version when checking in December 2014. 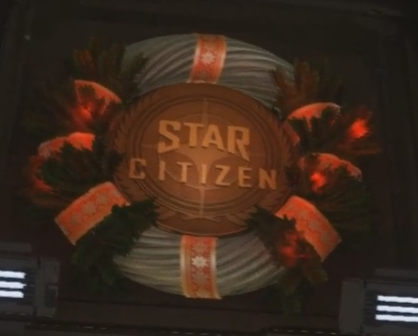 It was then upgraded to the 2015 version about checking in December 2015, though, the name has not changed unless you never saw the 2014 version. 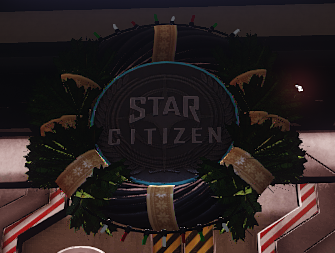 As it keeps getting “upgraded”, we’ve kept this as one item instead of a different one for each wreath. 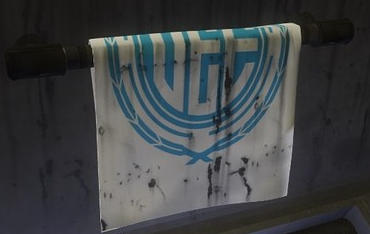 This handy towel was a reward for all backers for reaching 42 million. 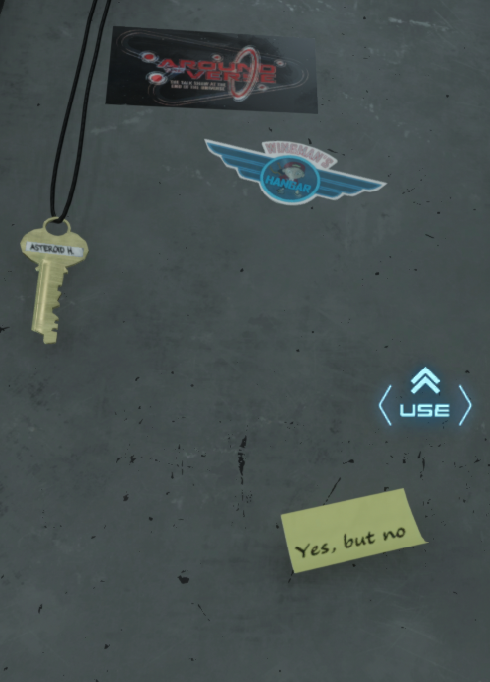 It’s even reversible! 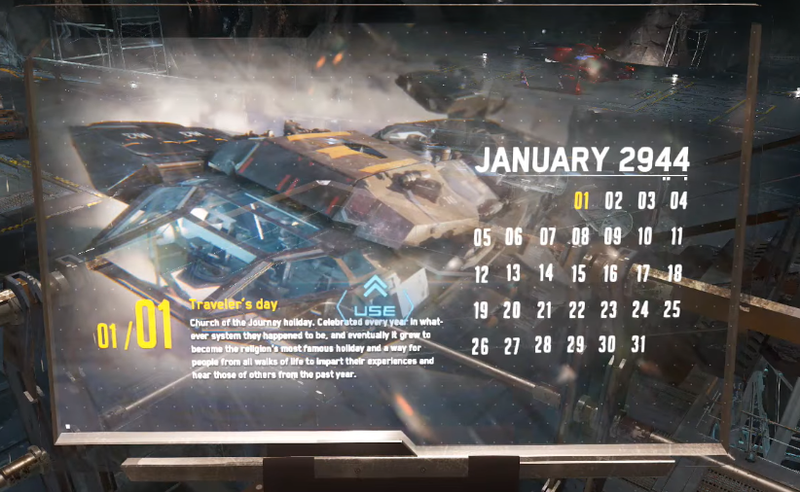 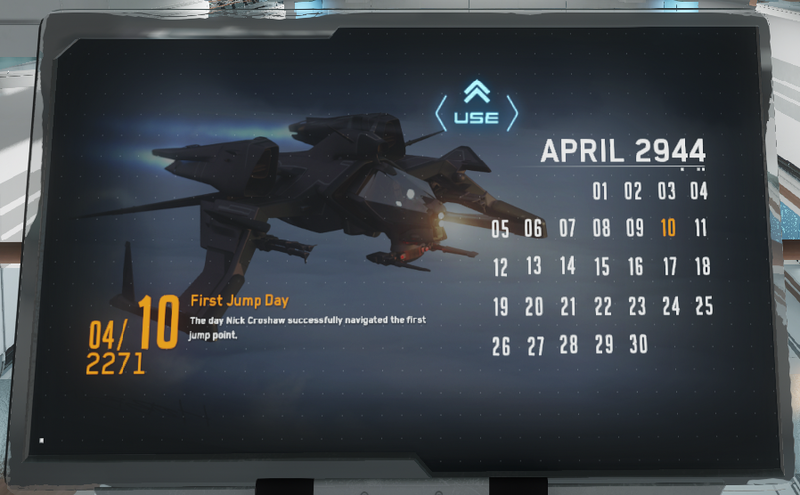 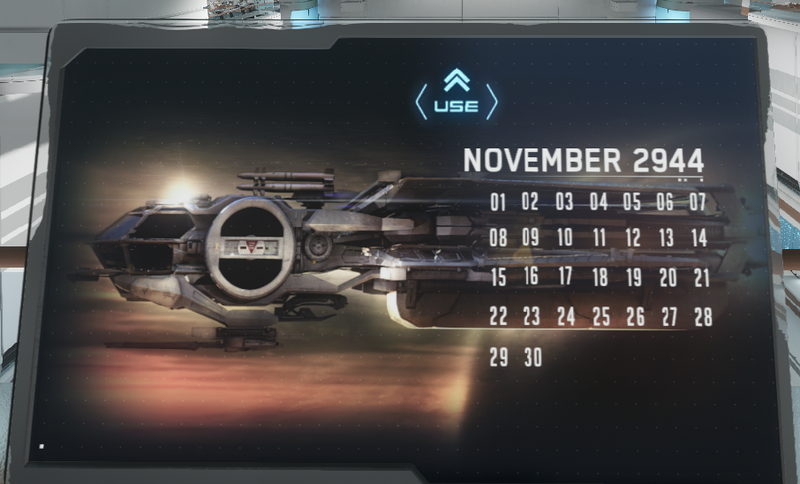 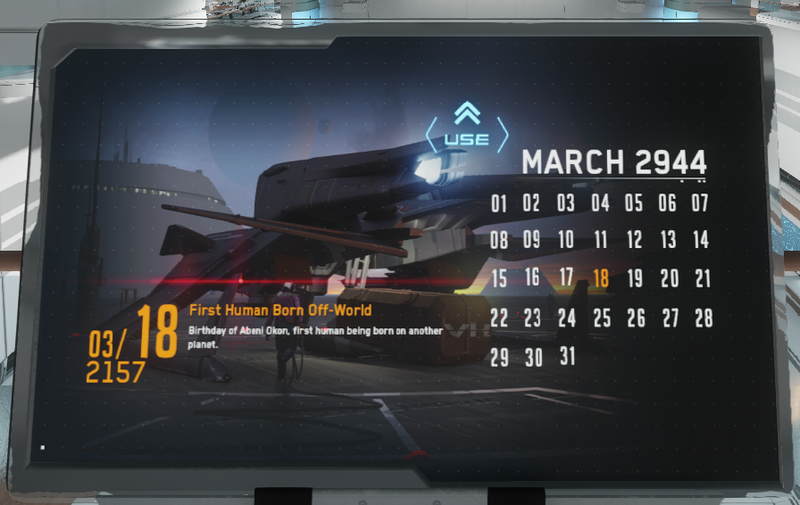 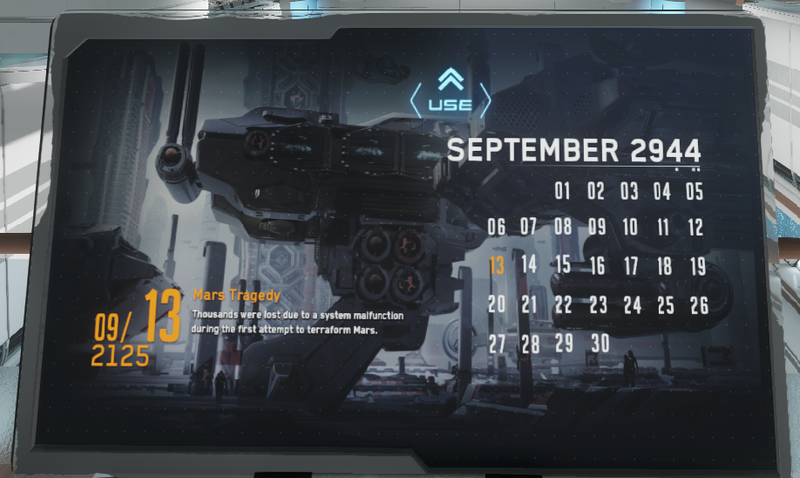 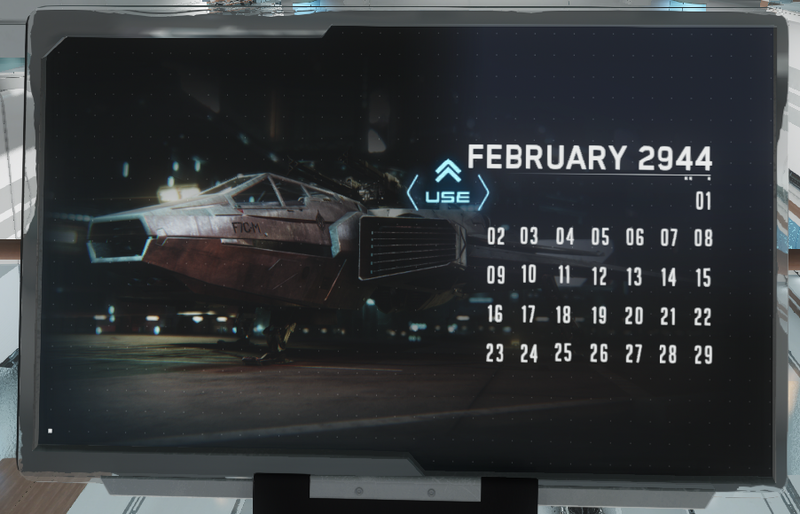 This interactive 2944 UEE Calendar was the very first piece of Subscriber Flair. 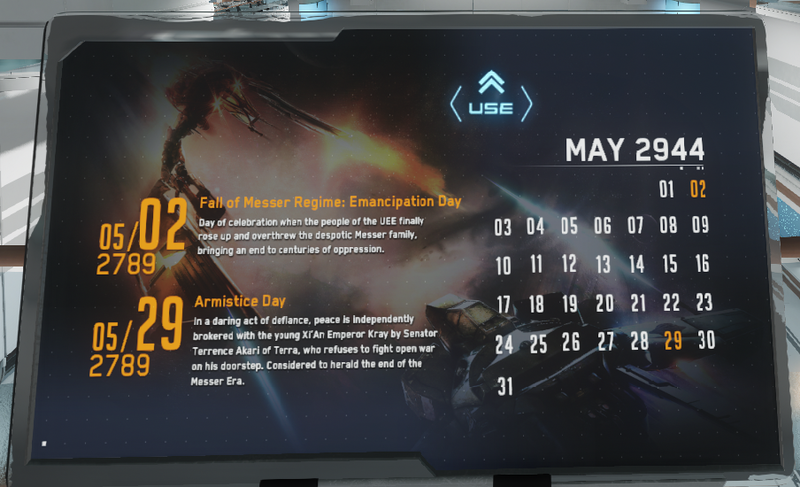 It was given out May 2014. 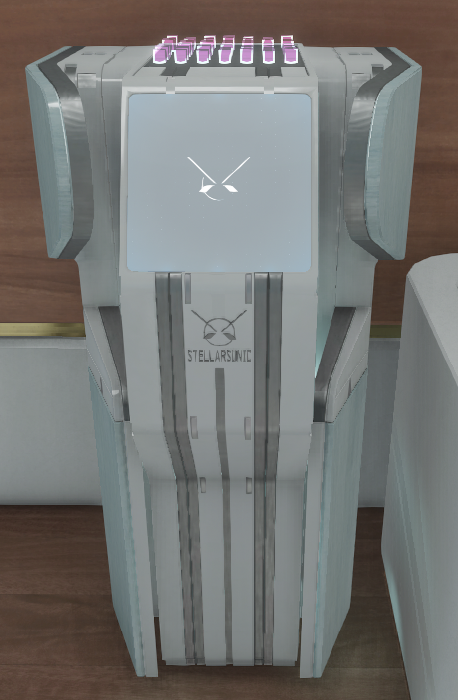 This classic 2920 StellarSonic stereo system by Steradians Audio Arts is capable of playing any music file you load into it. 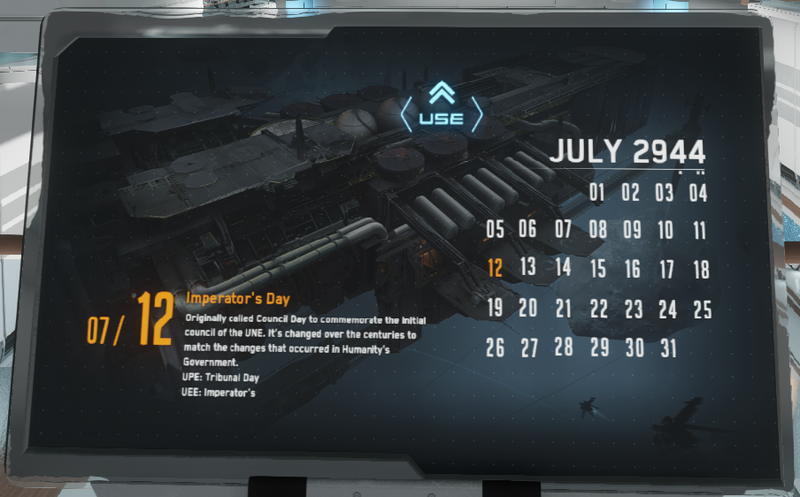 It was given out as a Subscriber Flair in July 2014. 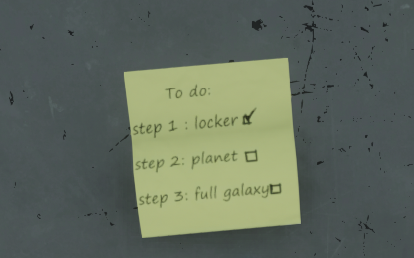 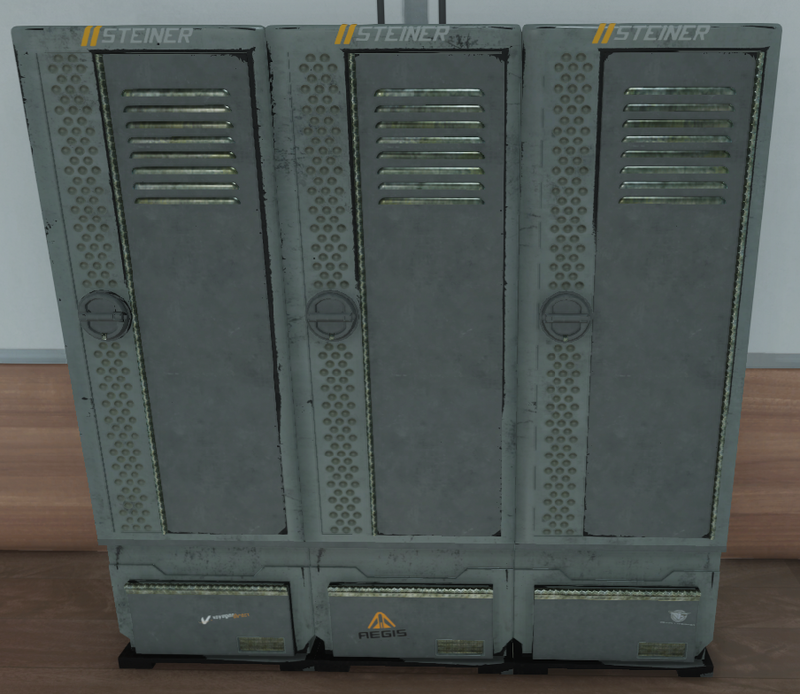 A set of lockers from a familiar place. 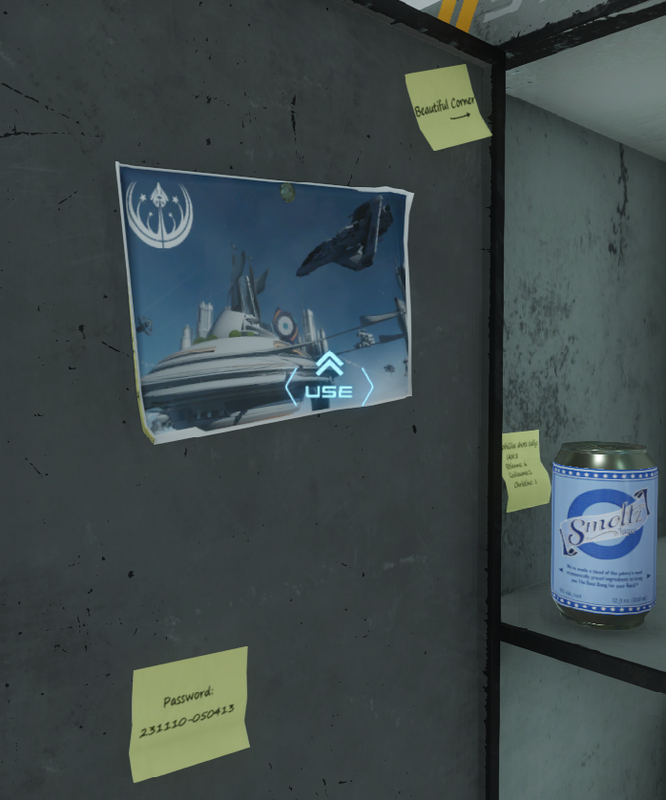 It contains all sorts of easter eggs. 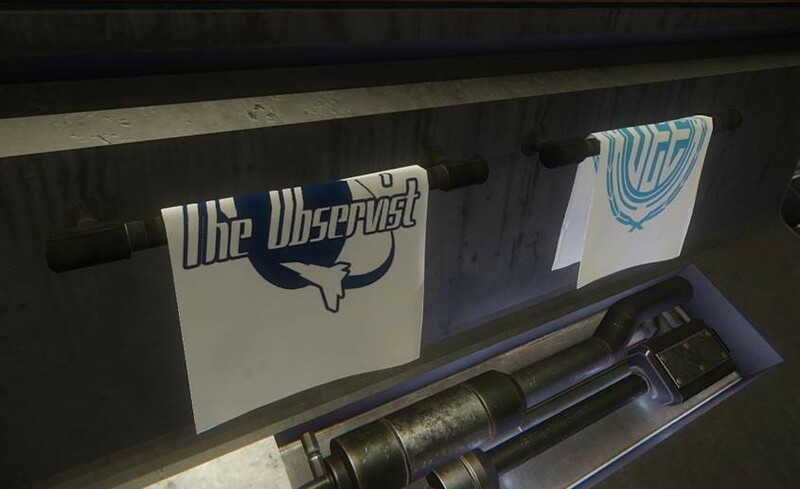 It was given out as Subscriber Flair September 2014. 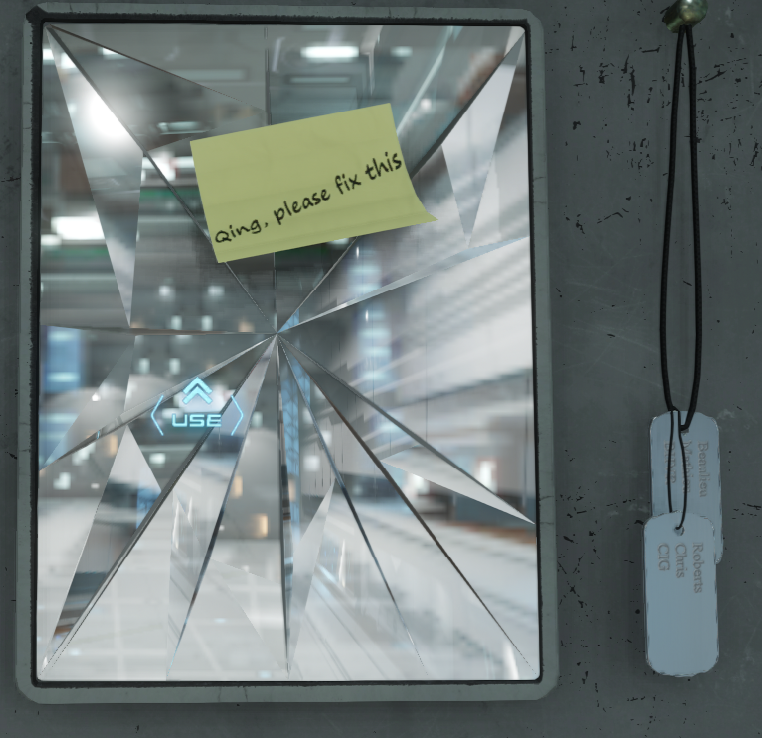 This is a very fancy Liquor Cabinet from Mr. Refinement! 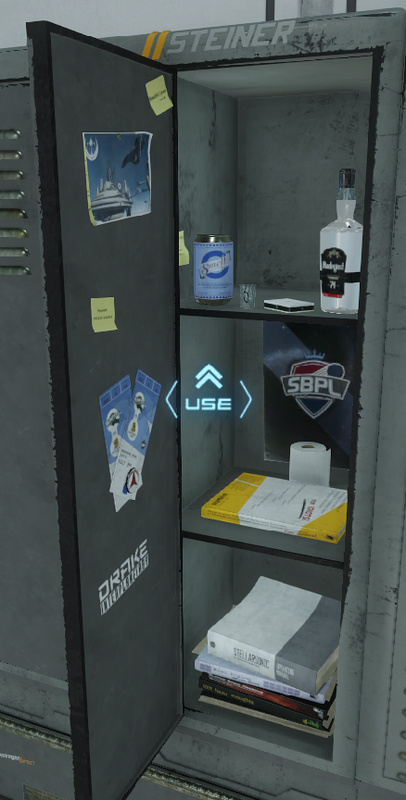 It displays various fine beverages such as The Cathcart Widow 151, Sky (24 years old), and Trise Cordial. 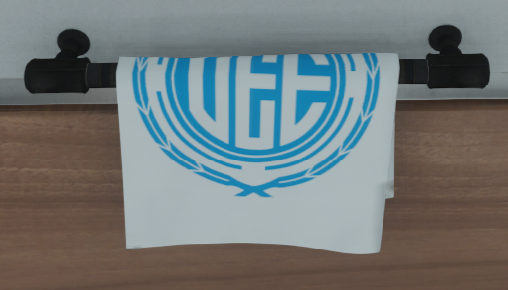 This was given out as a Subscriber Flair November 2014. 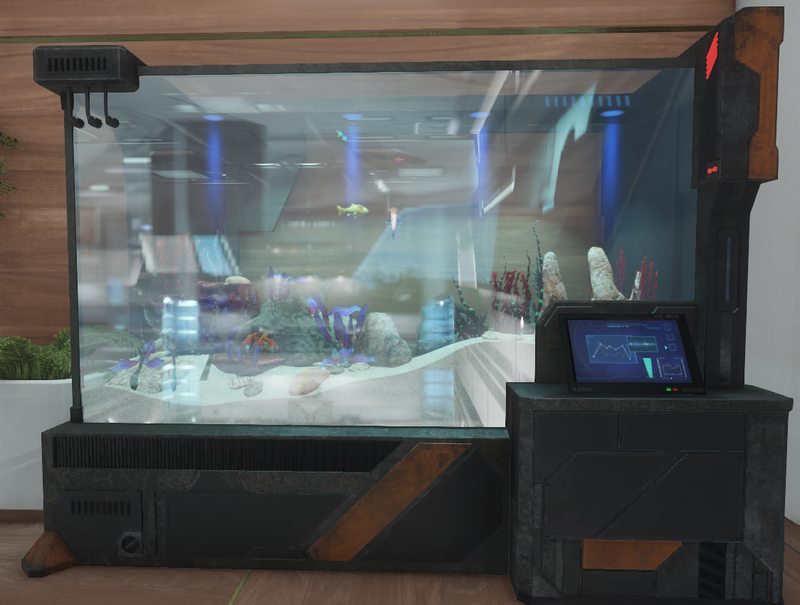 This rounded fish tank is a reward for getting 5 referrals. 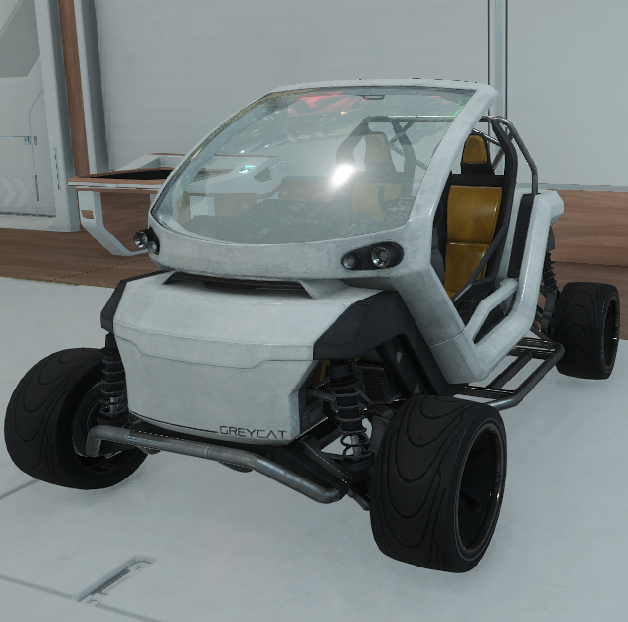 It also comes with a buggy and a special school of fish. 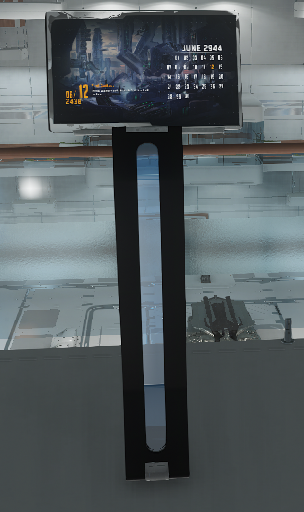 A Big Bennys Vending Machine for your hangar that was given to all Subscribers for Year 5.